Armed Services Committee Democratic Member and Women in the Military Caucus founder Cal. Rep. Loretta Sanchez said she’s a bit concerned about women being in combat because of the possibility of being burdened by male-designed body armor. 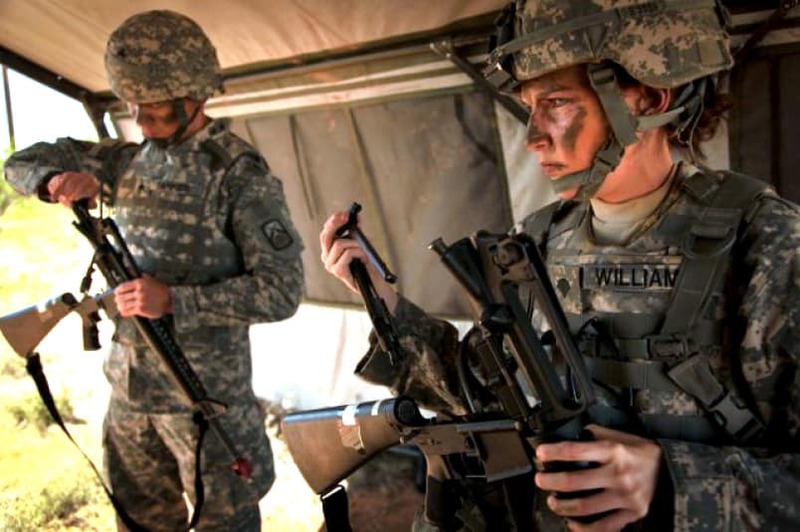 In January, the ban on women in combat was lifted by Former Defense Secretary Leon Panetta. This ban overturned the Pentagon’s rule the restricted women from combat-like rules made in 1994. Women have been lobbying the Pentagon to stop the restriction because of their subjection to combat in Afghanistan and Iraq. 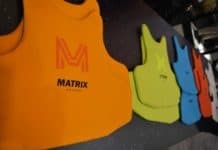 However, officials with the Marine Corps and Army said the new body armor generation is actually handling that very issue women in combat are currently facing. 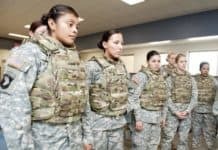 According to Paul Ostrowski, an Army brigadier general, the improved military female body armor for the Army are designed solely for female soldiers are six pounds lighter than the men’s vests. Pfc. Misty Ortiz, adjusts the new military female body armor during testing. He said military female body armor will always be available for the deploying forces, saying it would soon hand out 600 female body armor vests for the Rapid Fielding Initiative. This RFI is an Army program that creates and outfits soldiers with the latest equipment. 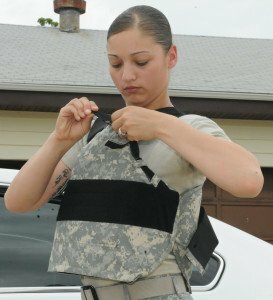 Ostrowski said from this point forward, all female soldiers heading into a combat zone area will be outfitted with body armor tailored to females. Mass. Dem. Rep. Niki Tsongas is most pleased with military female body armor, talking directly about her use of it. She said she’s been told about the vests many times and had the chance to try one on. The improvements, she said, are significant and that it was highly important to protect women who are now serving on the front lines of battle. Before the adjustments were made, it was extremely hard for women using the standard-issued vest to use a rifle properly because of her inability to correctly raise her arm. Besides the comfort part of the issue and the better weight distribution, women must be sufficiently protected to do their job. Lawmakers have argued that body armor – fit, quality and the carrying – isn’t a problem solely dealt with by women. Concerns were also raised regarding the heavy body armor loads troops in combat carried, saying soldiers could become injured without the lighter equipment. A 10-year-old Defense Department study reported that an improvement in side armor plates would have decreased the number of deaths in troops in the Iraq conflict. Military commanders have said the heaviness of the body armor is still a major concern. However, the decision to lessen the burden soldiers carried would be carefully looked at because they didn’t want any decision to result in more soldiers becoming injured. They did say that protection would be the number one priority. 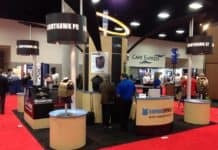 N. J. Rep. Rep. Jon Runyan said the importance to push technology boundaries to reduce soldiers’ physical strain is vital. Runyan said taxpayer money is being spent if technology isn’t being pushed or that the lightest vests are not being used. He said, as a former NFL player, that he feels the beating he put upon his body every day because of equipment.